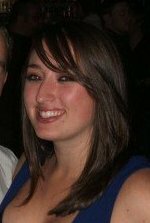 Zoe began coaching cheerleading in September 2002 and established the Supreme Starlights Cheerleaders which was the first cheerleading team created in the Wigan area. Before this Zoe taught dance at the Carol Barton School of Dance, something which she still does today. She is fully NCSSE qualified and insured to coach cheerleading. The team first started with a single senior team which entered its first cheerleading competition in Loughborough in 2003. Now the squad has four different cheer teams, 5 dance teams and many talented soloists which continue to excel in the cheerleading world all thanks to the hard work and dedication that Zoe puts in. Marie joined the Supreme Starlights in 2004 and now is one of the assistant coaches. Marie teaches Dance at the Carol Barton School of Dance and now uses her skills to create exciting and fresh cheer dance routines. Marie's first senior dance routine received two 1st places, one 2nd place and a grand champions trophy for dance which is a fantastic achievement. Her first dance solo placed 2nd at ICC and she is now in the process of creating new dance routines and choreography suitable for cheer routines. Marie is a part of the senior all-girl squad and in the past has been in senior all girl stunt groups. Ashley joined SSC when it first began in 2002 and has competed in every competition since that date. She began coaching in 2005 and travelled to Oslo with the junior squad in 2006. Ashley is responsible for the Junior Intermediate Cheer team and the Senior All Girl routine. She also coaches the junior stunt team which have been BCA national runners up two years in a row and the new 'mini' stunt team which will begin competing in the next few months. Ashley is a member of the senior all girl team and the senior medium dance team. She also choreographed the senior co-ed stunt routine which achieved first place at Blackpool 2006 and has been part of all girl stunt groups in the past. Ashley is noted for her innovative and creative stunt sequences. Joanne is the newest coach at SSC and teaches the cheerleaders tumbling skills. Joanne was a gymnast and coach at Appley Bridge Gymnastics Club and started cheerleading in 2003. Joanne has been in Co-Ed stunt groups and is now in senior all-girl and medium dance. Joanne has had many successes in teaching tumbling so far with many of the younger cheerleaders learning to walk-over and handspring.